I know I have been very quiet here the last couple of months - I have been crocheting and embroidering, and if you follow me on Instagram, you might have seen pictures there. My 30for30crafing challenge haven't gone completely according to plan - I'm actually still doing it. I have so far uploaded 27 days worth of crafty pictures on Instagram, spread over both May, June and July. I am going to finish the challenge - in my tempo. Lucky for me there's only three days left! I do think that I am going to do it again next year, and hopefully I will be a bit more focused. 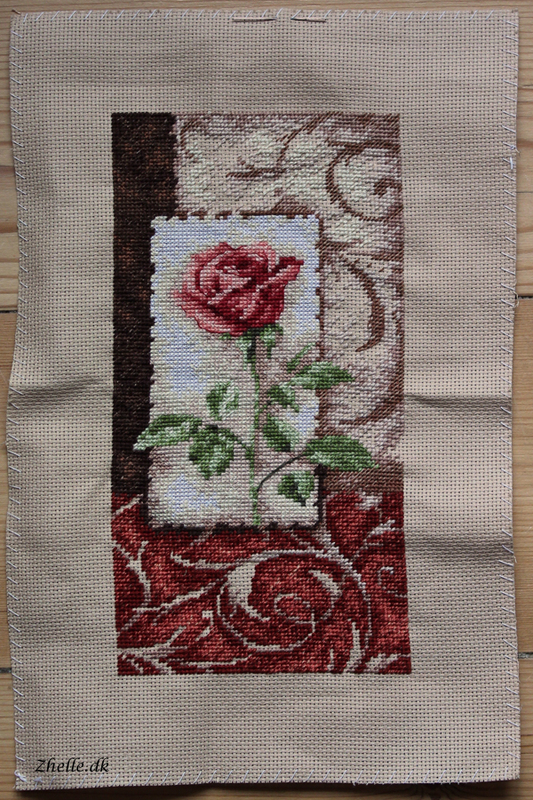 I'm still missing a bit of cross stitches, and then it is only backstitching to go. So I am not far from the finish line on this one! 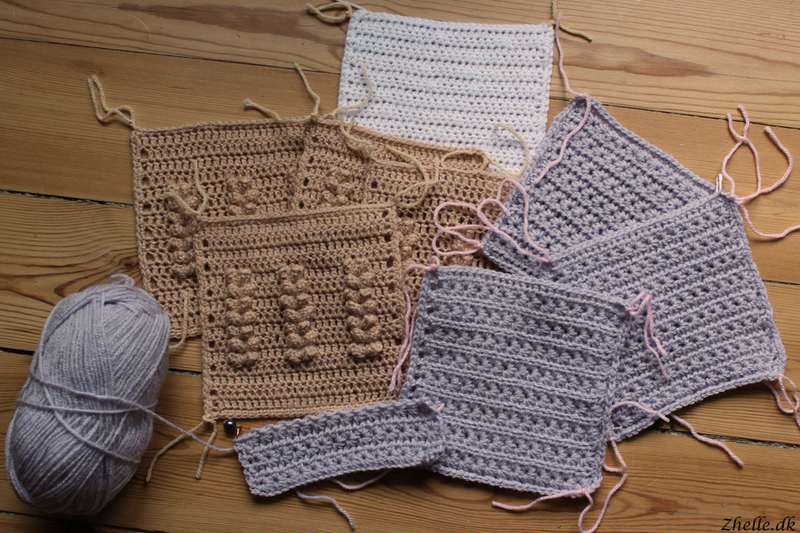 I also felt like crocheting, and I do have a big huge project, I am working on. That's right - the Last Dance on the Beach-blanket hasn't been forgotten! I still need to make the fourth square of week one again (the sandy-coloured ones in the picture) because one of them is way too small. I am almost done with week 2, as you can see I am only missing five rows of star stitches to do. It is not because it takes a long time to do a square, I just haven't gotten around to finish the fourth one yet. Quite a lot of my time has gone with preprations for Shaun's and my wedding. We have finally sent out invitations after quite a few problems with them. Mainly it was Vistaprint, who couldn't get the PDF-file right, which was very annoying. Luckily Vester Kopi could do it, so we got some really nice invitations printed! My sister is the designer of our invitations, menues, table cards and thank you cards, and she is absolutely brilliant at it! I am sooo proud of the invitations we've sent out! I am also in the middle of finding my wedding shoes, because I have a time at the tailor in the start of August. I have to have found my wedding shoes by then! Right now my choice is between a blue pair, a pale pink pair and a pair of glitter silver shoes. They are all so pretty! So now I have to try all three pairs with the dress and see which ones I want the most. I am happy to have found one pair of shoes (my shoe size is EUR 35/UK 2) and now I have to choose between three gorgeous pairs!